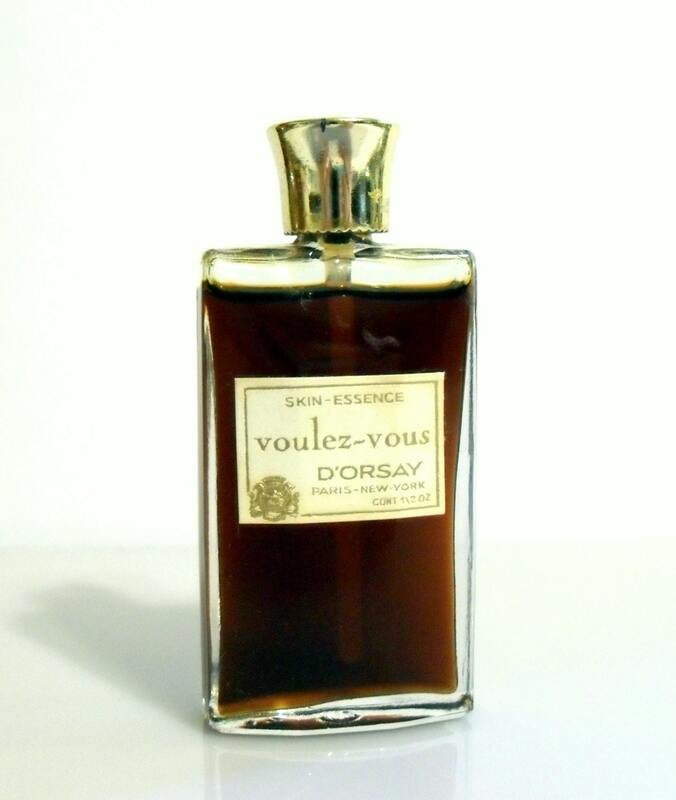 Vintage 1960s Voulez Vous b D'Orsay 1/2 oz Skin Essence Splash. 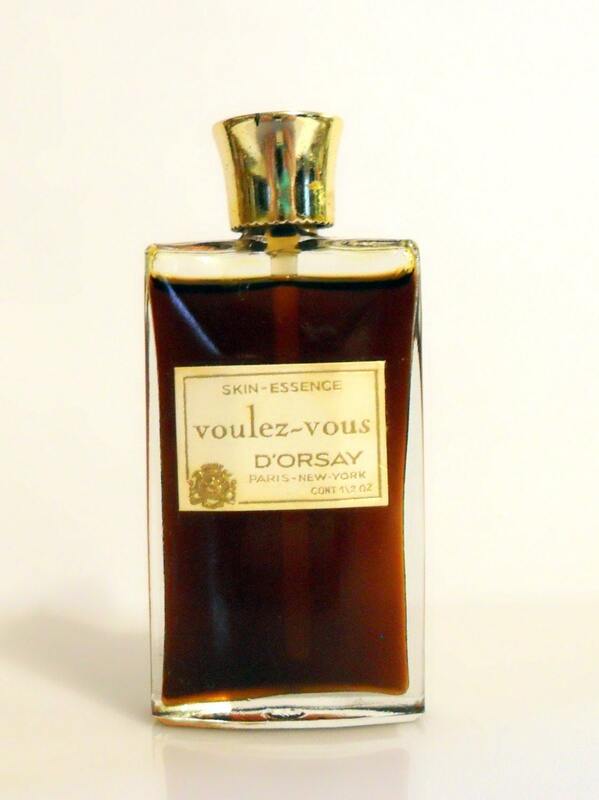 The skin essence is comparable to a bath oil or concentrated perfume oil. The bottle is about 99% full - see photo for the actual fill line. The cap has an attached dauber to apply the perfume to your skin. The perfume is old and no longer fresh as it once was. I just tested it and it is still very rich and potent. I would say it is wearable if you like strong perfumes. This has a very green, mossy scent. 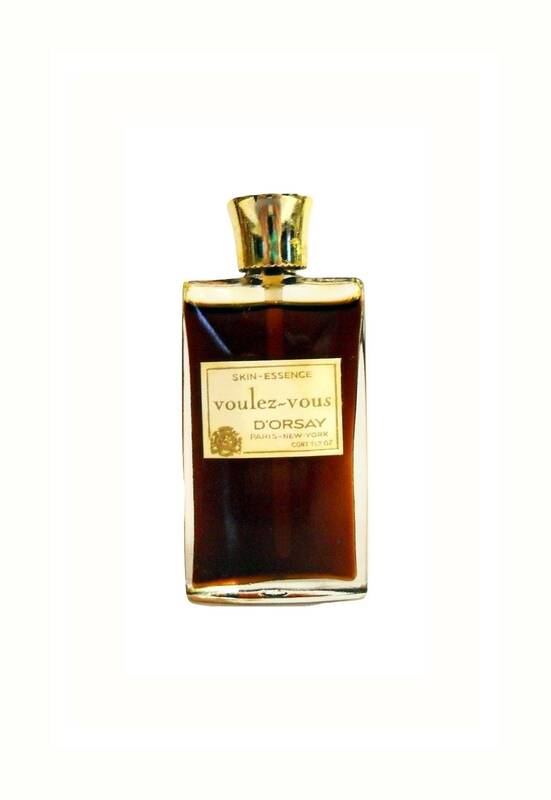 Launched in 1960, it is classified as a green floral chypre fragrance for women with green, woodsy, and fruity notes.